Aside from the search for a Light Music talent, the core of this competition was to glorify the Trinity through praise—to give glory to God through our talents in music, instruments, and skill. Aside from the battle of singing techniques, another highlight of the event was the stories that each competing team had with the Lord. One of the teams was a special group composed of brothers currently serving in the military. They sang the new arrangement of “Sail of the King” to signify that, in the military, they would only rely on the Lord. 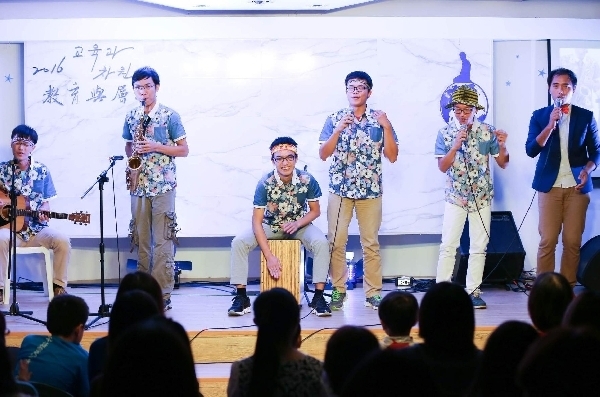 Another brother performed “The Natural Temple.” To overcome his fear of key changes and to be able to convey the deep meaning behind the song, this brother set the condition of praising seven songs every single day. There was also a sister from the music department who competed with her self-written and self-produced song “Heart to Heart.” She expressed her deep heart and thanks to the Lord through her gentle voice and beautiful notes, moving the hearts of the judges and the audience. Joy and happiness filled the atmosphere of this national BAND competition from beginning to end. Be it onstage or offstage, and regardless of their intentions behind entering the competition, the people found themselves affected by the atmosphere. Each team shone on the stage according to their unique characteristics and creativity, and praises for the Heavens filled their voices. 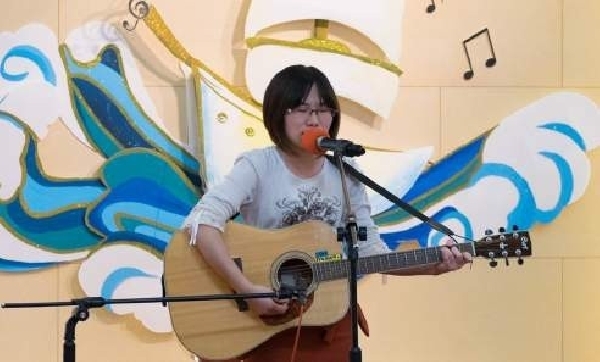 Pastor Chun-hui Lin, who is a professional musician herself, said, “We have to study praise songs carefully. We have to understand the music and the lyrics, and demonstrate the different dynamics. This way the Trinity and the people listening can feel the heart and mood in a powerful way.” With these words, the competition drew to a close.